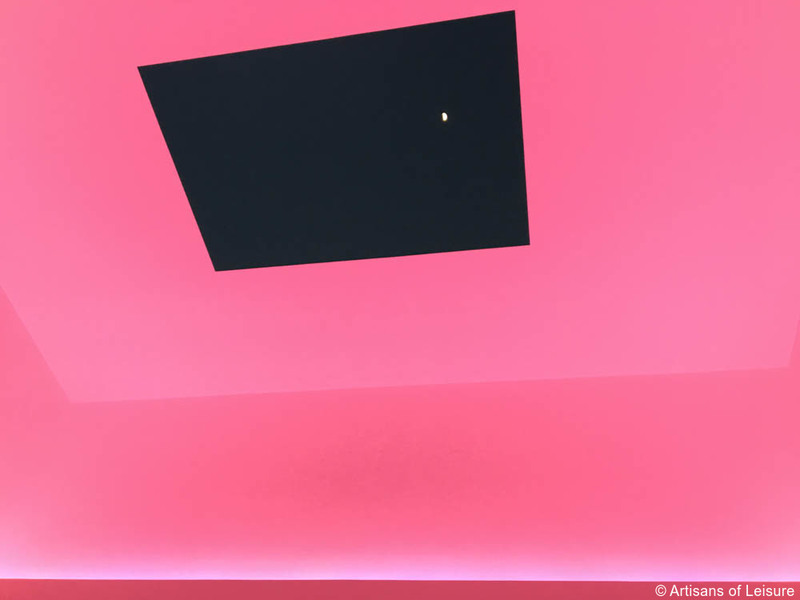 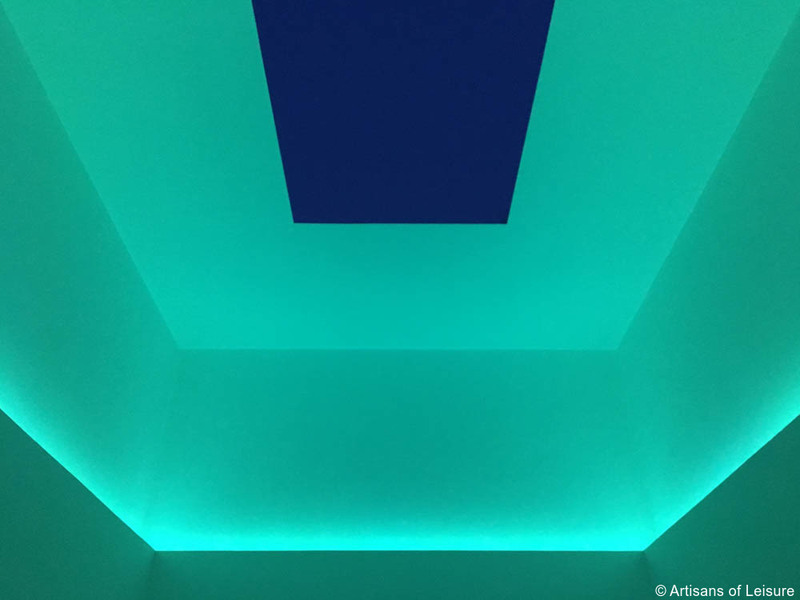 Since the 1970s, acclaimed American artist James Turrell has been creating light and sound installations called Skyspaces in countries around the world. 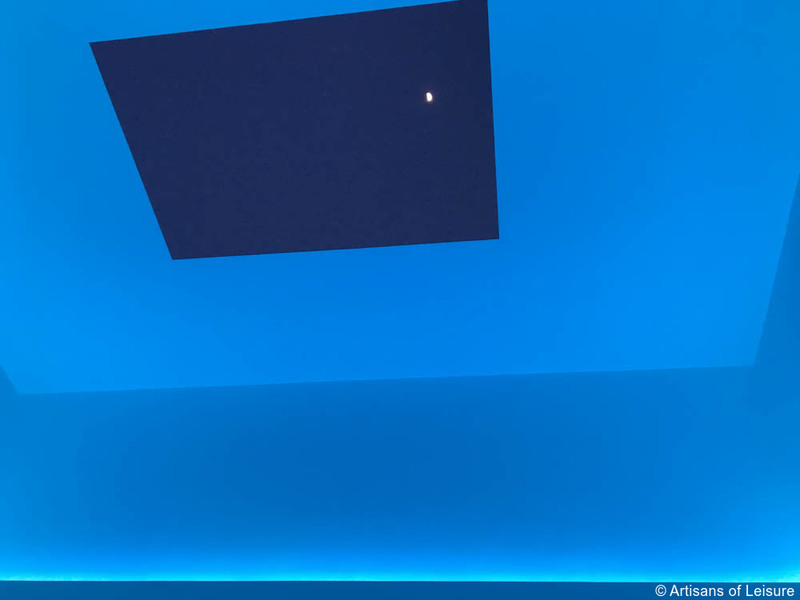 Skyspaces are specially constructed rooms with an opening in the roof that frames the sky. 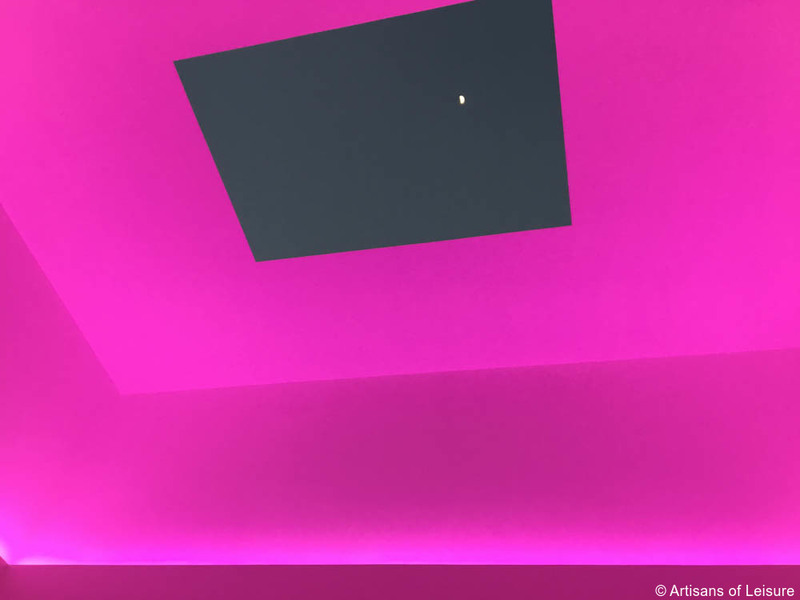 Controlled lighting on the ceiling and walls of the rooms complement the color of the framed firmament as it changes throughout the day. 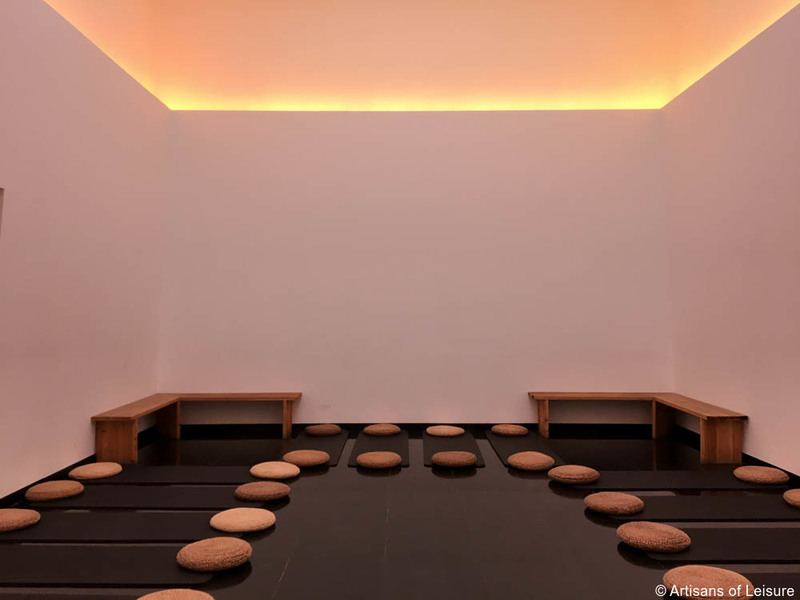 One of our favorite Skyspaces is Gathered Sky, a meditative space at The Temple Hotel in Beijing, China. 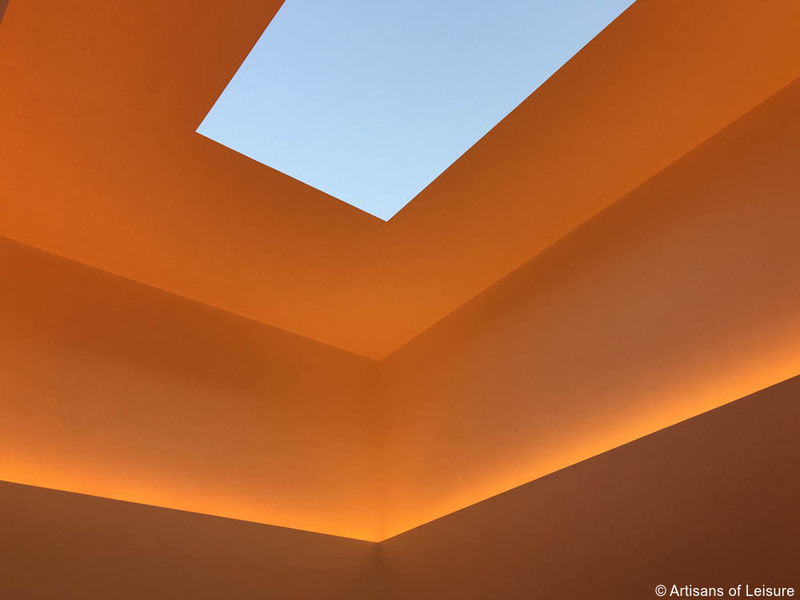 The ephemeral and intangible quality of light is the perfect subject for the hotel, which occupies a former Buddhist temple complex. 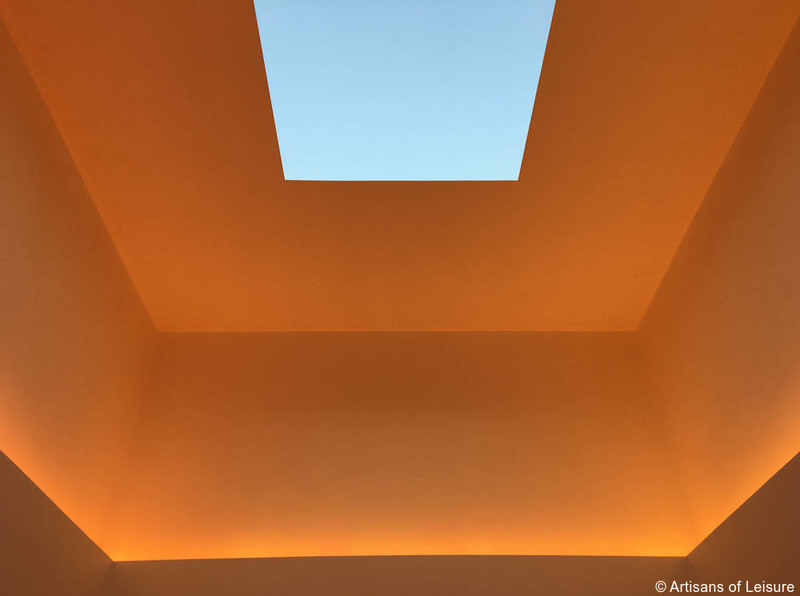 Gathered Sky is designed to be experienced at sunset. 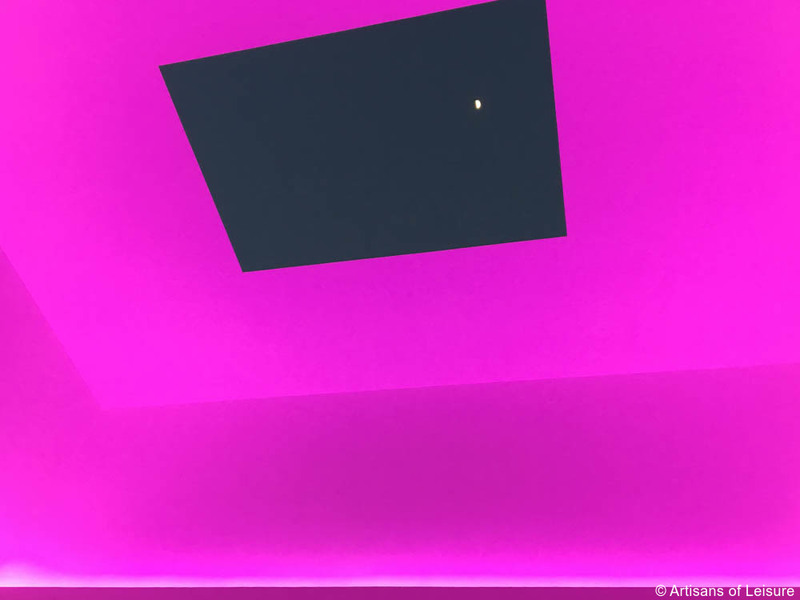 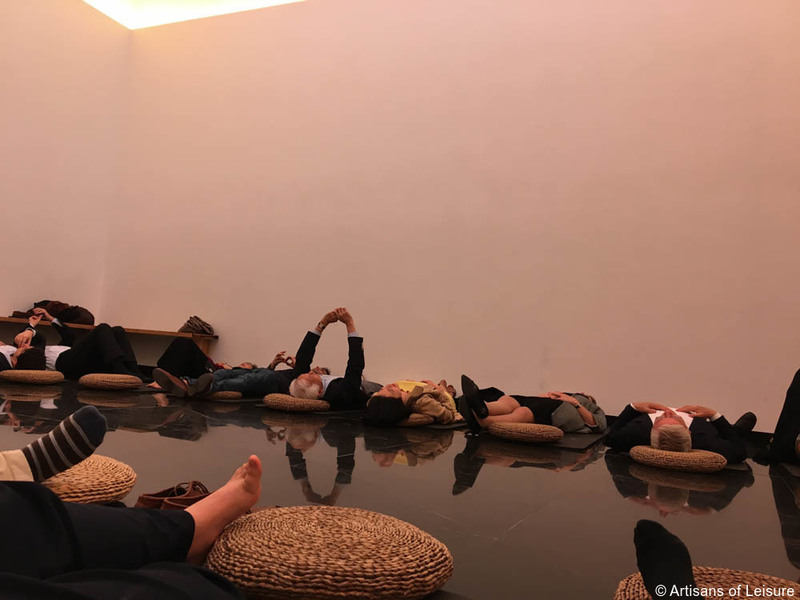 Visitors lie on pillows on the floor and spend around an hour watching the sky through an aperture in the roof, accompanied by classical music and subtly changing artificial lights that enhance the colors of the sky as the daylight fades. 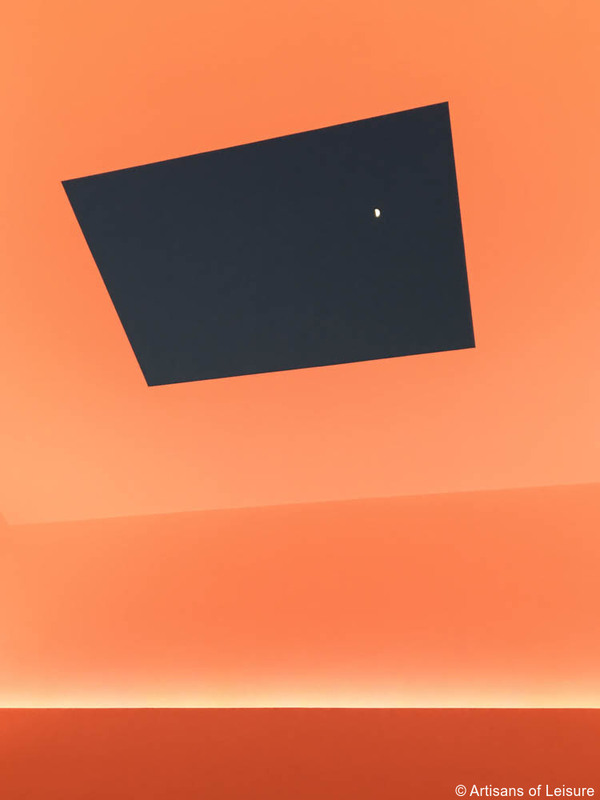 The rectangle of sky viewed above distorts viewers’ perception of space and creates the sensation that the heavens are almost within reach. 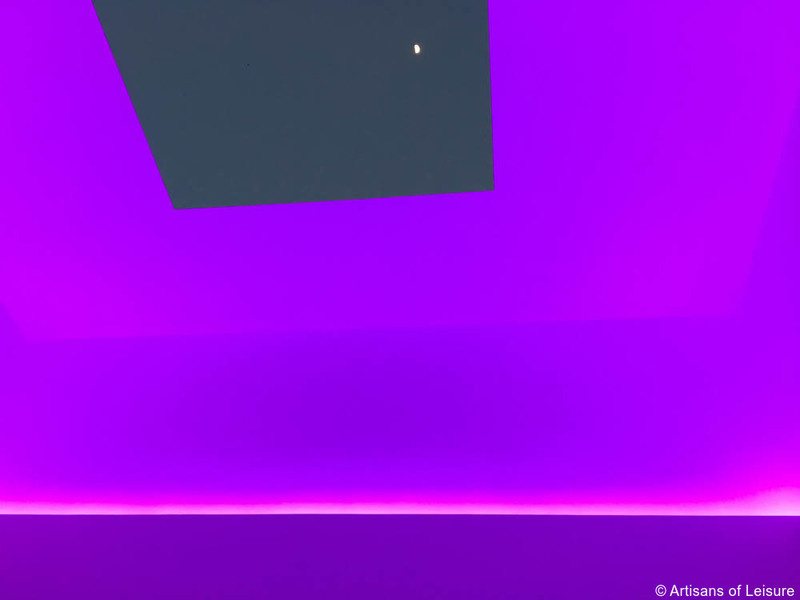 With the interplay of music, natural and artificial light, Turrell creates a beautifully tranquil and contemplative experience in the midst of vibrant Beijing. 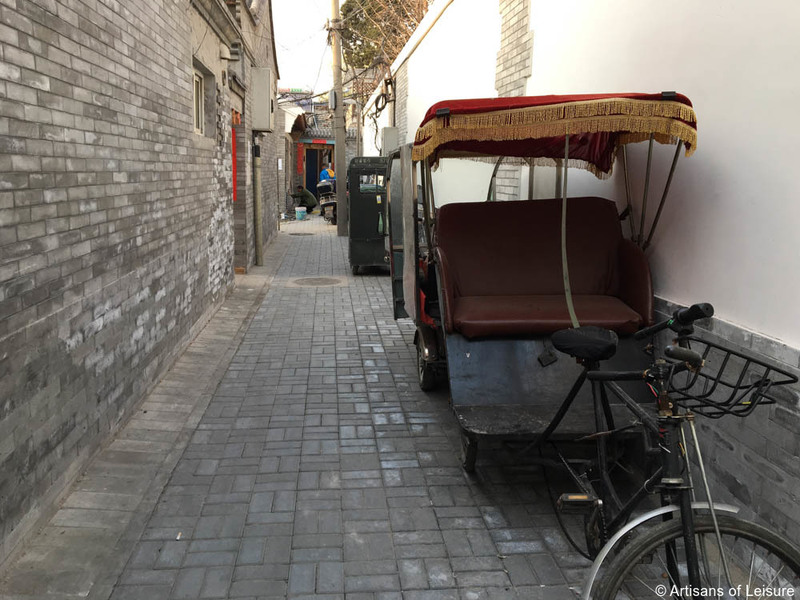 Artisans of Leisure can arrange access to Gathered Sky as well as other unique art, design and architecture sites in China as part of our private luxury tours of China. 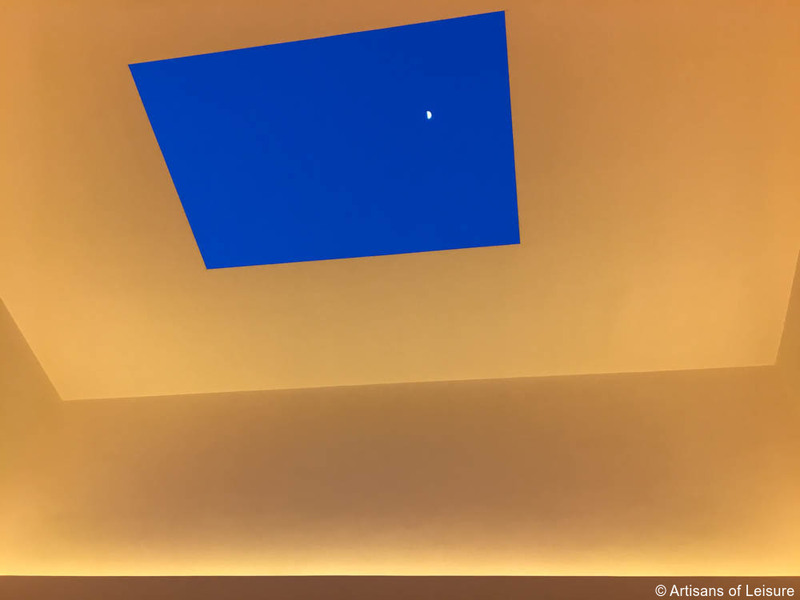 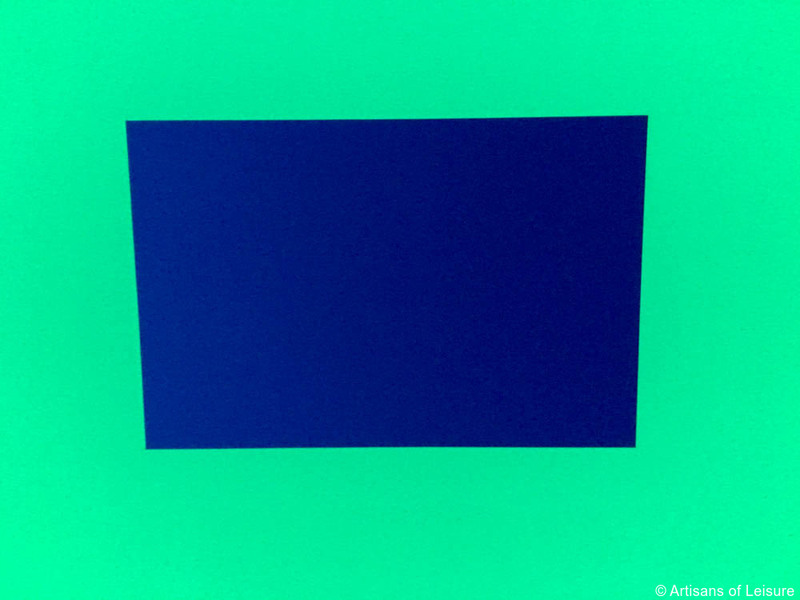 We also arrange visits to similar Turrell installations around the world—such as Open Sky on Naoshima, an island in Japan; Unseen Blue at a winery estate in Colome, Argentina; and Irish Sky Garden in a crater in County Cork, Ireland—as part of our private, customized tours.